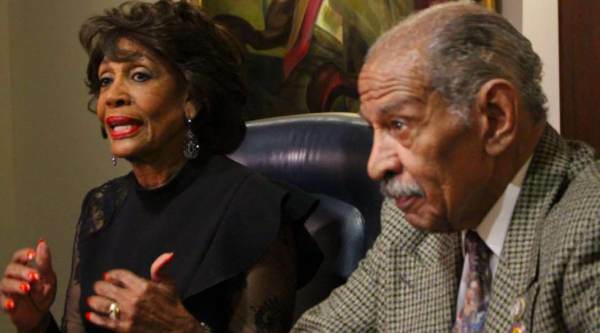 Amid sexual harassment allegations against Rep. John Conyers, footage has resurfaced showing Rep. Maxine Waters praising the embattled lawmaker for his ‘impeccable integrity’ on women’s issues in October. “You know, there is a member of Congress who has been supportive of women for many, many, many years,” Waters told the crowd at the Women’s Convention Sojourner Truth Luncheon in Detroit on October 28th. During the address, Waters called on women to ‘reclaim their time,’ in the Trump-era. The footage has resurfaced amid reports that Conyers used taxpayer money to fly women into D.C. to meet with him in hotel rooms. As TGP reported, The documents were first provided to BuzzFeed News by Mike Cernovich. Buzzfeed also reported that staffers were tasked with flying women in for Conyers using Congressional resources.